New book, 82 pages. This is our first title covering a post-WW2 RAF jet. The fourth title in our Airframe Detail series covers a very important, but much neglected post-war RAF type. 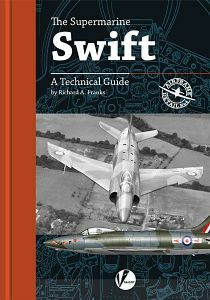 Whether you are tackling the brand new Airfix kit, or grappling with the old Hawk offering in 1/72nd scale this title will be essential reading for you. Contents include: A wealth of historical photographs; Walkaround detail period pictures; A mass of period diagrams from original flight manuals; Detailed study of structure, equipment and armament; Colour profiles and camouflage and marking detail by Richard J Caruana; Lists of all kits, accessories and decals produced in all scales.